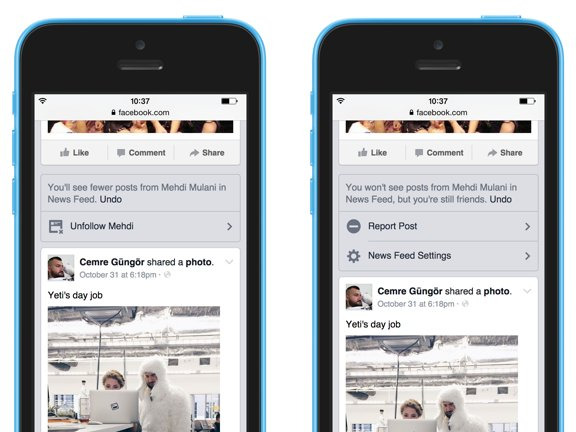 Facebook is now offering you more control over what you see in your News Feed. According to Greg Marra, Facebook’s product manager, you’ll now see News Feed settings with a list of the top people, pages and groups you’ve seen in your News Feed recently — specifically, over the last week. There, you’ll be able to unfollow any of those friends or pages, and you can also see at a glance who you’ve unfollowed in the past. You’ll also be able to control the ability to see less from certain people or pages — simply by clicking on the arrow on the top right of the story to view the various hiding options. All of the settings are now available for desktop and mobile users. Check out Facebook’s blog post for more information.